Everyone has a memory related to cookies. Whether it’s dunking Oreos in milk when you were little or watching your grandma make Christmas cookies, somewhere in your memory is an event involving cookies. Holly Nolan’s dad was a cartoonist and her mom was constantly baking cookies and cakes. “Getting into cake decorating really married the skills and passions I learned from my parents,” she reflects. For Robinson and Nolan, the story could have been one of great rivalry, but when they met on Instagram they decided to make it a story of partnership. 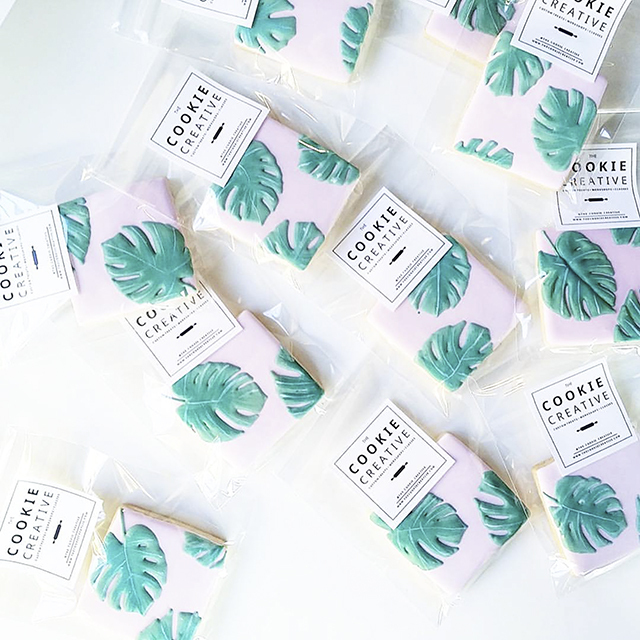 As their website says, Robinson had just started The Cookie Creative, and Holly’s business needed re-branding after relocating from Hawaii. They both needed help to grow. Nolan reached out to Robinson, they met (and hit it off instantly), and were soon married — their businesses, that is. The Cookie Creative officially became a duo in July 2016. Hand-rolled, buttery and delicious, these cookies are baked in small batches and completely made from scratch. 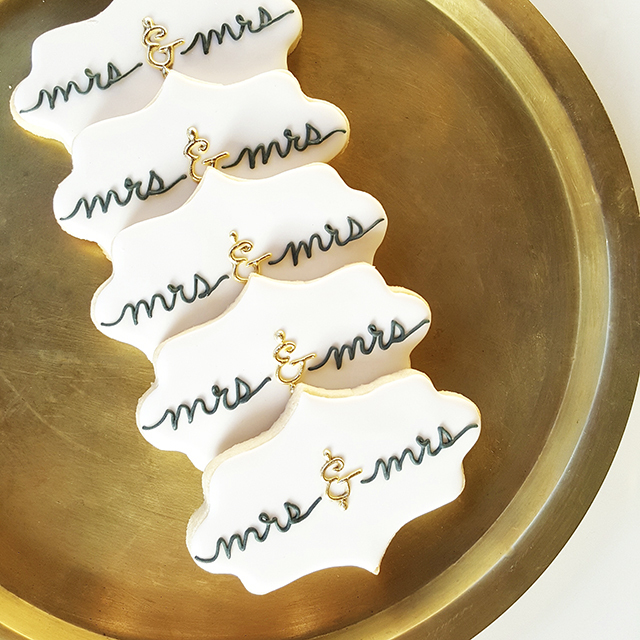 Each cookie is then hand-decorated and topped with a sweet layer of royal icing. There is a quality to hand-piped cookies that you’re just never going to find from anything mass-produced. Creating custom orders, something custom tailored for each client, really makes each order unique and personal. 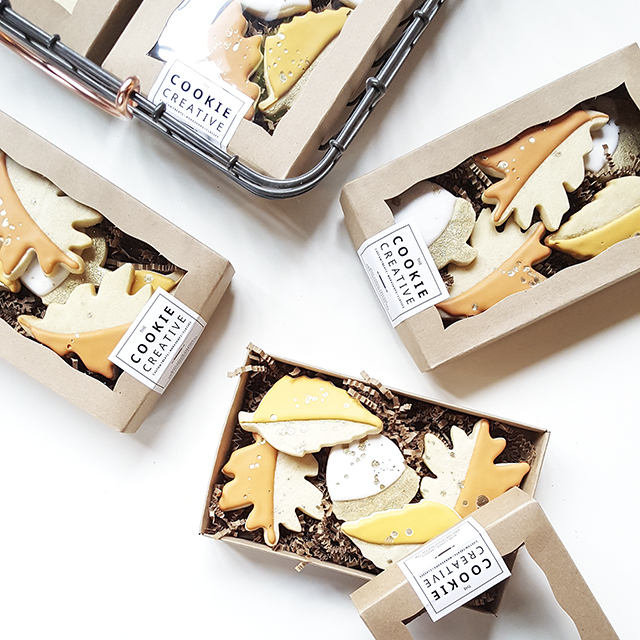 The Cookie Creative only uses butter from cows not treated with rBHT and eggs from free-range chickens. These women like to keep the ingredients simple: butter, eggs, flour, and sugar in the perfect ratios for the perfect melt-in-your-mouth cookie. “Rather than the repetition and monotony of mass-producing a few designs, I really enjoy the process of working with clients to create something custom,” Nolan says. The process begins when most customers submit a quote request online with some basic information. 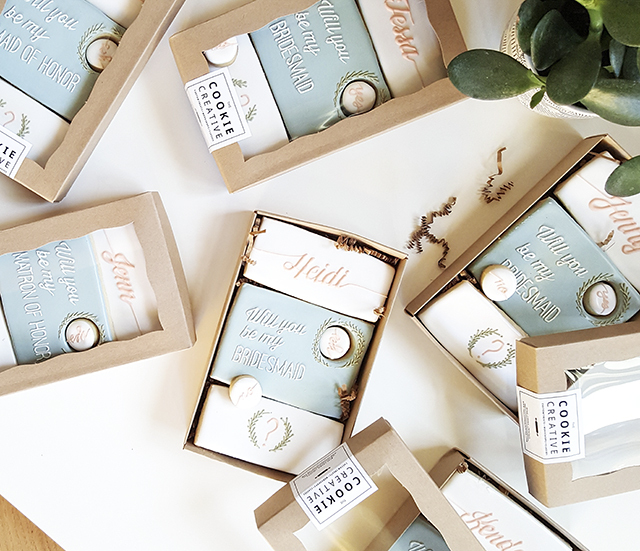 While some people know exactly what they’re looking for (even bringing in some Pinterest inspiration to replicate), some leave the creativity up to the decorators and just ask for a general theme. 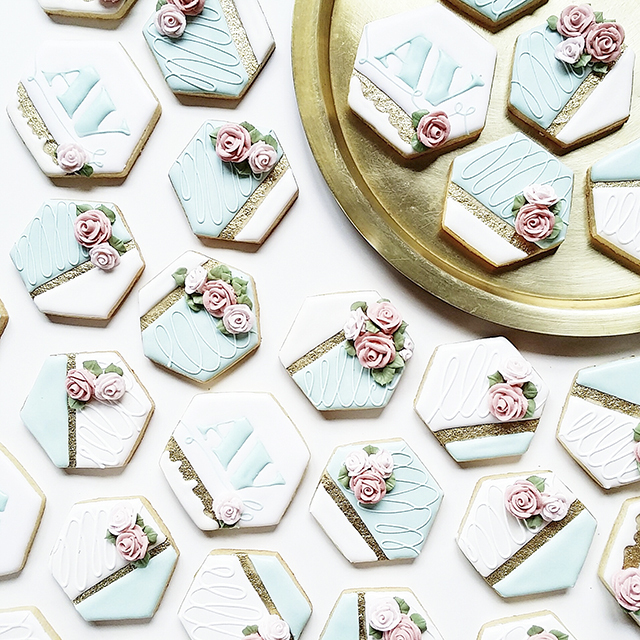 Wedding creations run the gamut of designs: everything from individually hand-piped royal icing succulents to personalized, monogrammed cookies for favors to simple and elegant hexagon cookies with a gold-splash. 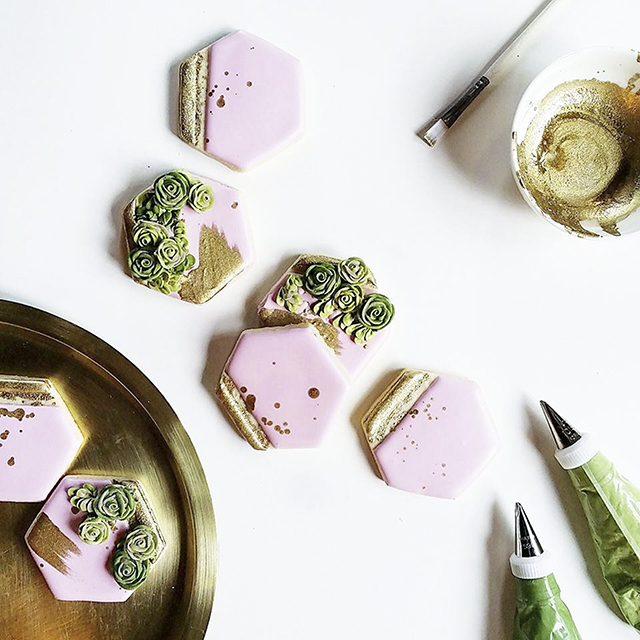 “Working with royal icing gives us a lot of flexibility to use a variety of decorating techniques to turn our client’s vision into reality,” Robinson says. 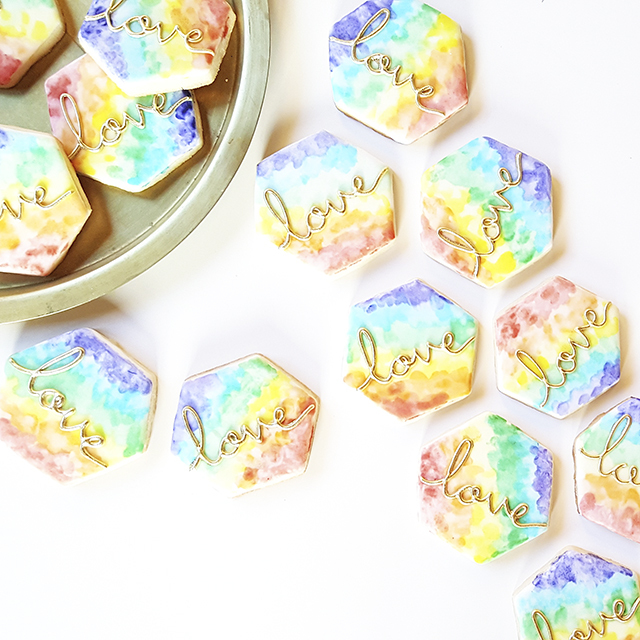 The Cookie Creative makes the most beautiful cookies I have ever seen! 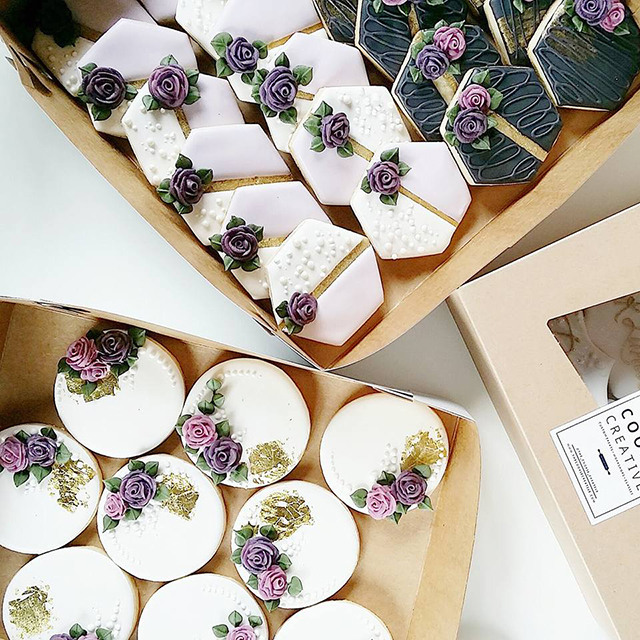 They really are almost too pretty to eat, as they said, but they are also the most delicious high quality cookies I’ve ever had! Just don’t tell my grandma I said that!